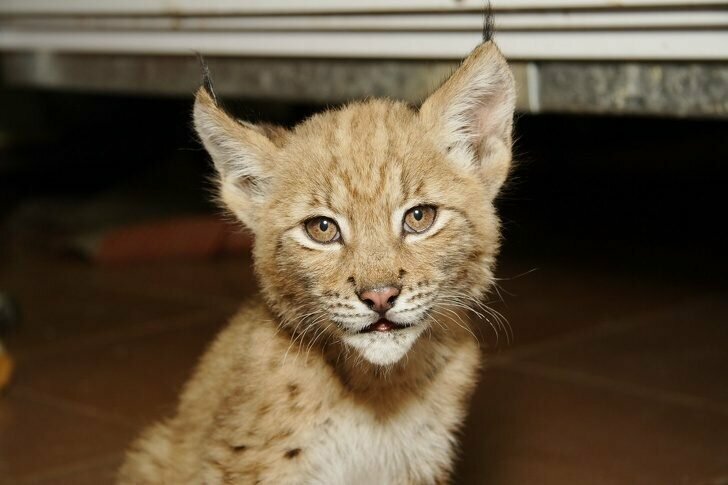 Lynx named Linda was born in the Leningrad Zoo in June 2007 and soon people brought a cat neighbor into its enclosure. 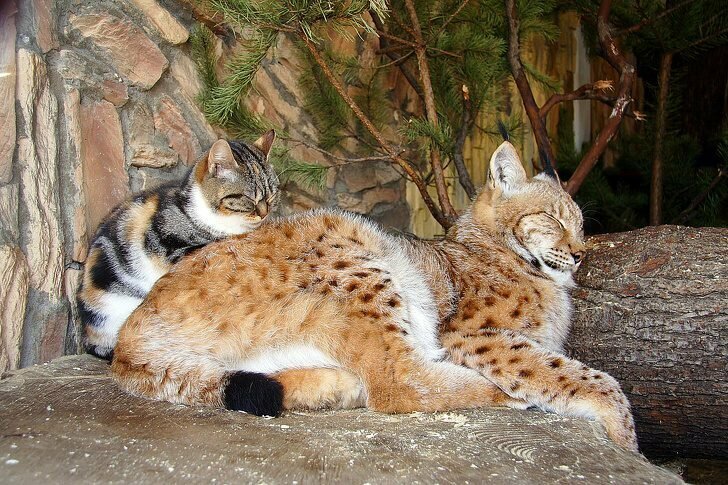 Linda and Dusya have been together for twelve years, they live in peace, harmony and friendship. They were of almost the same size when they met, their interest for each other was obvious. 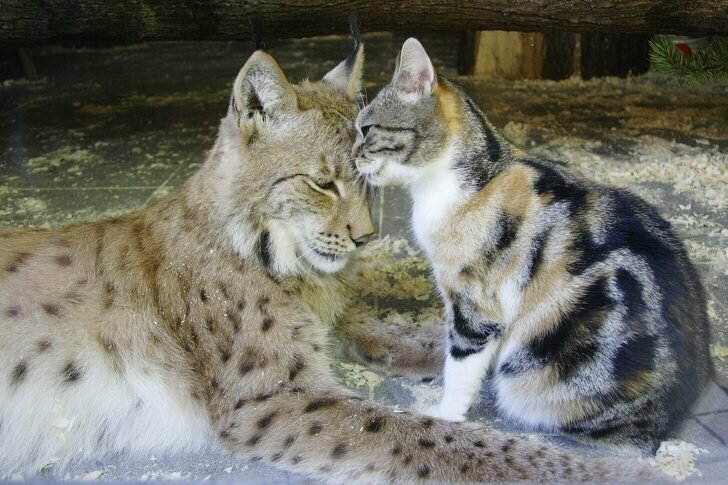 They were left to play together under surveillance of zoo employees, then alone. 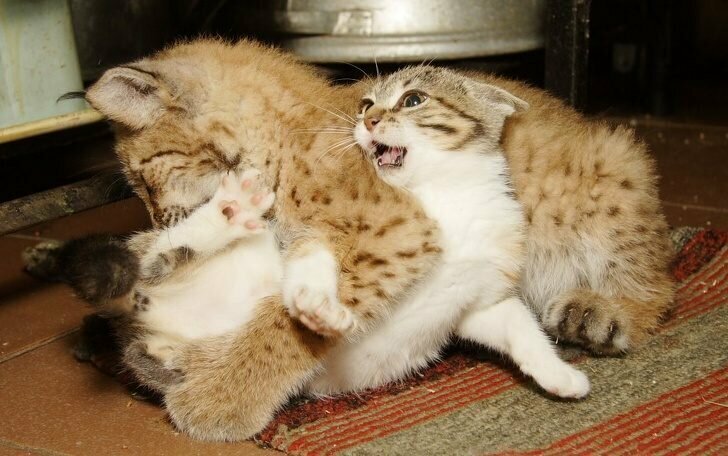 They never tried to aggressively attack each other. 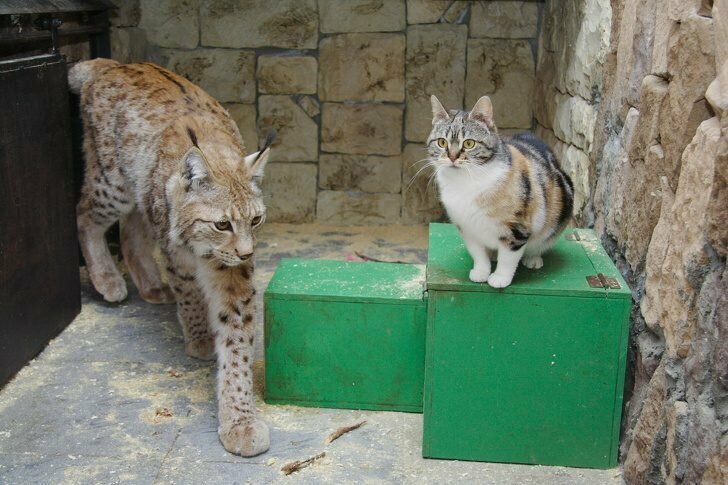 The purpose of the experiment was to show zoo visitors the difference in behavior of a lynx and a domestic cat. 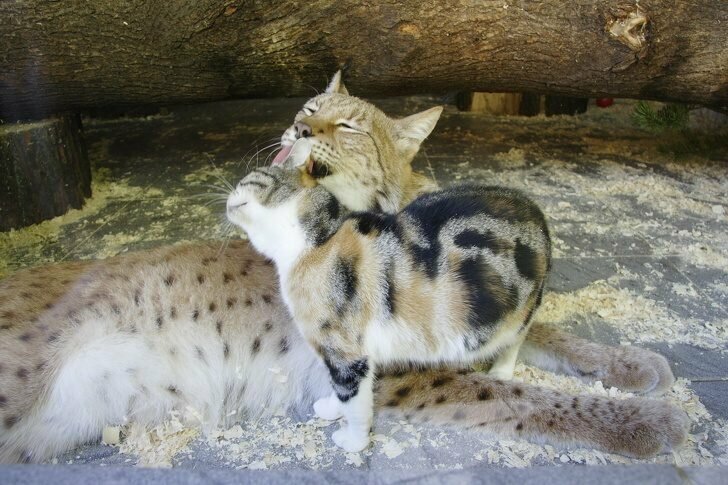 But Linda and Dusya both behave like ordinary cats, they lick each other, fawn and play. 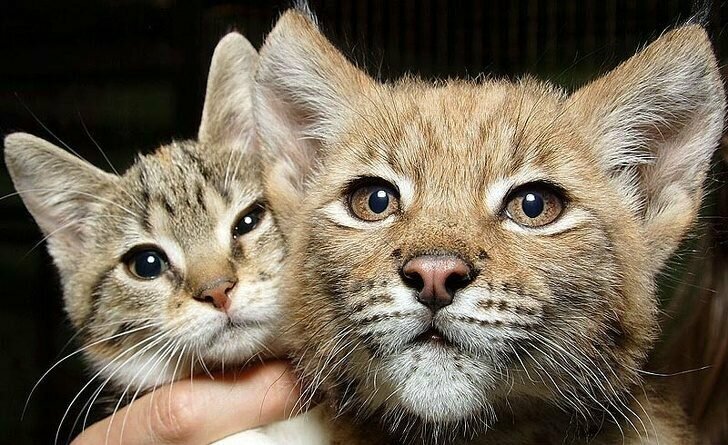 And Dusya feels safe despite the fact that its friend is now much bigger. They receive many different toys, but the favorite for both is an ordinary empty box. 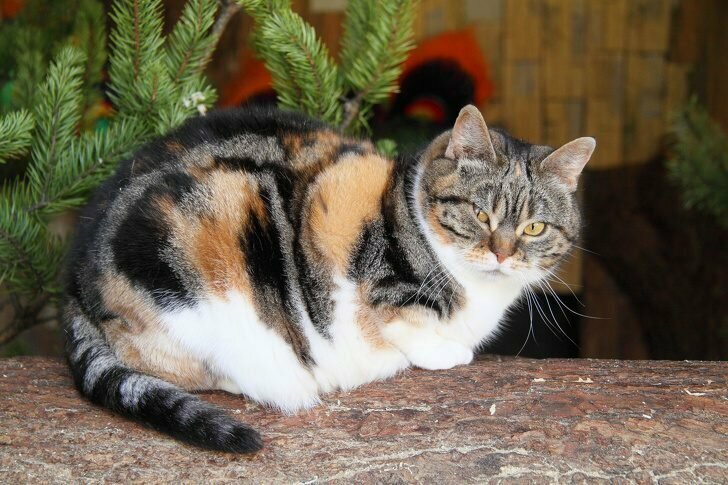 Dusya does not like people to caress it and shows a comparatively wild character, in their couple it is the cat who takes leadership. 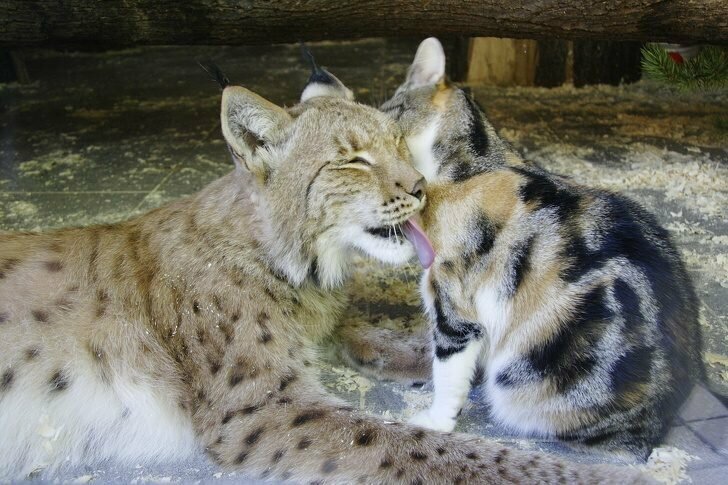 I have always wished i could have a Lynx, but here in Norway we are just barely allowed to have domesticated cats. 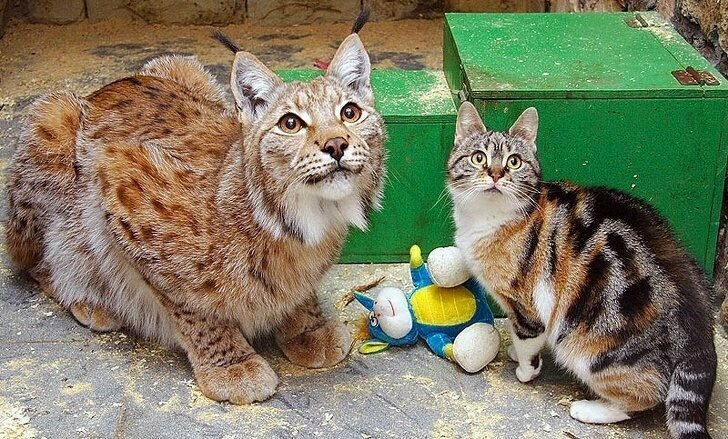 I can see both have a great life on their fur and are well fed. Great Pictures.